If you’re a parent, chances are as the school year comes to a close you’re already looking to the fall; figuring out the best education options for your kids. With social troubles on the rise in many of our nation’s public schools and the budget crunches making tuition more difficult for many families to meet, more and more parents are taking a second look at homeschooling as an option. This feature with Kevin Swanson, Executive Director of Christian Home Educators of Colorado and Director of Generations with Vision, and Christopher Klicka, Senior Counsel of the Home School Legal Defense Association, takes a look at some of the questions facing those making this important decision. 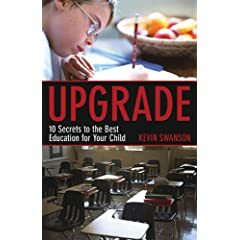 Kevin Swanson’s book: Upgrade: Ten Secrets to the Best Education for your Child is an excellent resource for parents wrestling with education questions, whether homeschooling or not. It is available through his website. Christopher Klicka’s book: Homeschool Heroes is a wonderful overview of the many struggles early homeschooling pioneers faced to make it possible today. It is available through the HSLDA website. For more information about the ICHE Annual Convention, click here. Some reports (like this one from the National Campaign to Prevent Teen and Unplanned Pregnancy) claim that as many as 1 in 3 young adults have admitted to the activity–which has led to a number of well publicized cases as law enforcement wrestles with how to respond to the issue. A recent article claims that the activity is no more significant than “spin the bottle” or “playing doctor.” This piece features a conversation with Karl Benzio, Executive Director of the Lighthouse Network, looking at the claims of the new study as well as some of the spiritual and emotional issues that can result from sexting. This feature highlights a conversation I had recently with Gary Brady, Pastor of Childs Hill Baptist Church in London, England. We spoke about his book which examines this concept of regeneration and what it means for the follower of Christ. Gary’s book: What The Bible Teaches About Being Born Again (Evangelical Press, 2008) is available through CBD. There are hundreds of thousands of Christian missionaries serving all around the world, faithfully involved in the work of the Great Commission. While we may hear some of their stories through an occassional Mission’s Conference or prayer letter, we don’t hear their testimonies often enough. In the coming months I hope to more frequently highlight how God is at work through His faithful servants all around the world. Recently, I had an opportunity to sit down with Peter Mead, Minister at Large with Operation Mobilization. He and his family are based in London and are involved in the Great Commission through discipleship and training efforts. He spoke to me from a quiet hallway at the Renaissance Hotel near Heathrow Airport. In a few months I hope to air a second feature with Peter on the importance of sound teaching and preaching. If you’d like more information about that side of Peter’s ministry, you can visit his resource website: www.biblicalpreaching.net. I am grateful to Peter for his willingness to pick me up from Heathrow Airport, arranging a meeting place for our interview, and for introducing me to steak and ale pie at the White Hart Inn…thanks so much. What makes for effective church growth? There are a lot of differing perspectives on the issue. This feature is a conversation with Mark Driscoll, senior pastor of Mars Hill Church in Seattle, WA. He believes that sustained church growth has less to do with church programs and more to do with our commitment to the word of God. Click here for more information about the Gospel Coalition. 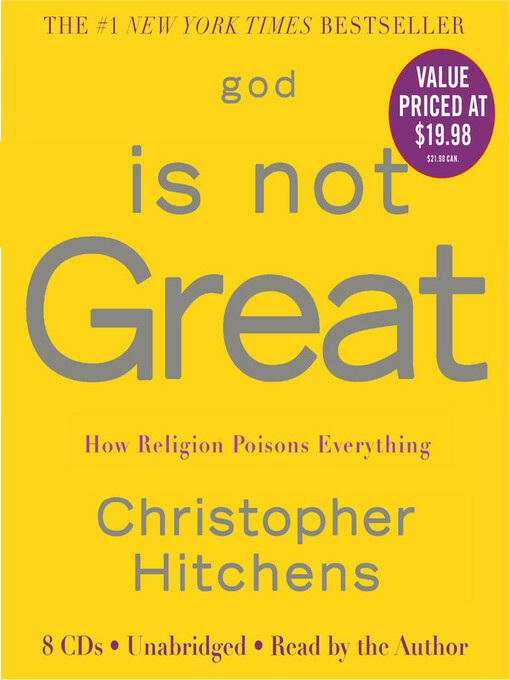 Last month, Mark Elfstrand of WMBI’s Morning Show interviewed well known atheist Christopher Hitchens about his book: god is not Great: How Religion Poisons Everything, new in paperback. This conversation with Bryan Oneal, Assistant Professor of Theology at the Moody Bible Institute, looks at a few of the claims found in the book. If you’d like to hear the complete 22-minute conversation with Bryan, click here. Stephen Hays has a great review of the book, available through the Chalcedon Foundation. Answers in Genesis has written an interesting article about the “new atheists” entitled: Why Do the Atheists Rage? There are times in the life of a congregation when, for the health of the body and the testimony of Christ, a member should come under church discipline. This conversation with Matt Schmucker, executive director of IX Marks and an elder at Capital Hill Baptist Church in Washington, DC, takes a look at this difficult topic and explores why a commitment to church discipline is crucial for the effectiveness of the local church. The March 2009 issue of Tabletalk magazine features his article on this topic entitled: Something Different. If you’d like more information about Tabletalk magazine, click here. Chances are that sometime over the next 2 months you are going to attend a wedding. June is the most popular month followed closely by the month of May. By the end of the year, more than 2 million couples will tie the knot. 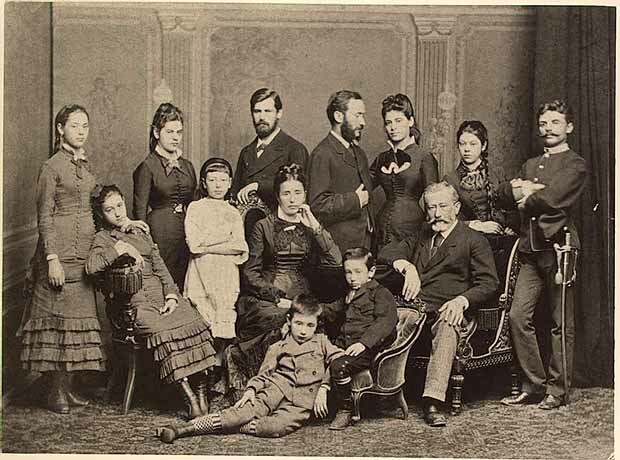 This report is on a new book that takes a look back at 12 Christian couples from Church history and what we can learn from their letters for our marriages today. Dr. Michael Haykin is professor of church history and biblical spirituality at The Southern Baptist Theological Seminary in Louisville, KY, where he also serves as director of the Andrew Fuller Center for Baptist Studies. His book, The Christian Lover: The Sweetness of Love and Marriage in the Letters of Believers (published by Reformation Trust) is available through the Ligoneer website. To download an mp3 of today’s feature, click here. Sunday is Mother’s Day; while many women find great fulfillment in motherhood, there are times when it can be discouraging as well. One challenge many mothers face is bringing a sense of peace into their home. The conversation is based on her article: Help! How can I have Peace in my Home? from the October 2008 issue of the magazine. Nancy has generously provided an electronic version of the article that can be downloaded here.